Peter Pratje of the Frankfurt Zoological Society's Orangutan Project has been rehabilitating orangutan and releasing them back into the wild for 10 years. 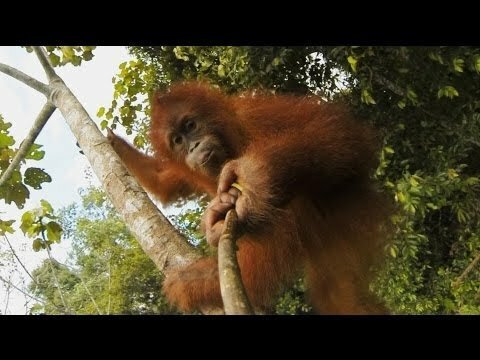 This video gives us a peek inside their fantastic program in Sumatra, where the critically endangered Sumatran orangutan, the rarer of the two species of orangutan, lives in the jungle. The 12-minute video follows the story of Suri, a mature orangutan who is ready to be released, and the other orangutans, as they travel, play and even, sometimes, try to eat the camera.